Are you looking for a moving company but unsure of what they can do for you? Then you have come to the right page! 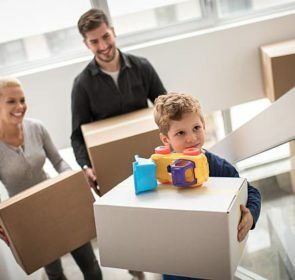 This article explains all the relocation services that are available for relocating to your new home. We have compiled the average prices for the services movers have to offer, as well as their corresponding descriptions. Relocation services: What is the cost? Although the specifics depend on the company, most offer many different services. Of course, these are performed at a price so you are probably wondering how much it would cost to hire, for example, packing services and storage space. The table below shows the average prices of common relocation services that you should expect. 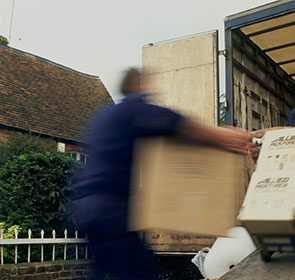 With all these services at your disposal, you are able to have the bespoke move that you desire. Whether you request all available relocation services so you will not have to do any work, or simply require someone to drive your items, a moving company is the perfect solution to any move. Reap the benefits at a reasonable cost, by taking a look at multiple movers, their services, and prices. Take only 1 minute to send a non-binding quote request and you will receive 6 emails with competitive quotes from local companies quickly! Fill in some of your information and moving details to save up to 40% on your total removals cost. What relocation services are there? Moving specialists provide a wide range of relocation services and are able to handle anything you need. With many options, your project is completely customisable, depending on the specific details of your move. Below, we list the different services that removal companies offer and explain what each involves. Specialists will handle everything to do with moving to your new home. Whether it is just moving down the street or to a new city 150 kilometres away, the removal company will assist with safely and quickly transporting your belongings to your new residence. With expertise in house removals, loading and transporting your valuables are taken care of, meaning everything will be smooth and comfortable. Moving specialists are also able to manage your project if you are a business looking to move your office. Various aspects such as employee transition assistance programs, office refurbishment, and disposal services ensure the office move is smooth. Relocating furniture, equipment, files, and employees—all while minimising time and disruption. Have you packed up everything and just need to move a few pieces of larger furniture? Or have you recently sold your sofa online and need to deliver it to the new owner? In any situation, moving companies have the expert packing and wrapping techniques to ensure your furniture is transported without any damage so make your furniture removal hassle free! Are you moving to another country for a new job? Or simply just need a change of scenery? Whatever your situation, a removal company will be able to make this significant life moment much easier. 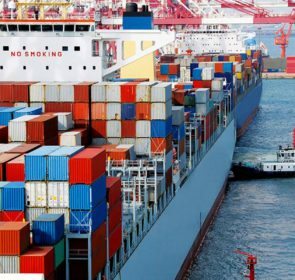 Offering everything from coordinating shipments to assistance adjusting to a new culture, a moving company will help with even the most difficult of international removals. Removal companies provide professional packing services to ensure that your prized possessions are secure during the transport. Fully trained movers use wrapping, boxes, tape, and covers to protect and properly pack your belongings. Usually, movers are only held liable for items that they packed themselves. Some movers also have packing materials available for purchase. These are either for your own use or for the movers themselves as part of their packing services. Depending on the company and your package, packing materials cost may be included in the price of requested packing services. If you have fragile antiques, large and awkward items such as an old grandfather clock or fine art, you will need a removal specialist to transport these items. With specialised training and equipment, such as lifts, cranes, and padding, your precious items are in good hands. One of the most common removal requests is moving pianos. Pianos require more than just lifting and loading onto a vehicle—they need proper padding and lifting equipment to make sure they are not damaged and stay in tune. Removal specialists offer this service so your instrument remains in pristine condition. If you are renting and want your safety deposit back, then removal companies also offer cleaning services. Cleaning is also available if you simply want to make your old home prepared for the new owners and your new home ready for you. We know that moving can leave quite a mess and the last thing you want to deal with is cleaning your new house after a long day of lifting and driving. To speed up your moving day even more, professional movers are able to disassemble any furniture to prepare them for packing and loading, and to assemble them once they are put in their destination rooms. If you need to install appliances or electronics, but do not have the time or knowledge of such matters, certain removal companies offer handyman services. These handymen install and fix any broken, technical items. Maybe an unexpected issue prevents you from moving into your new home immediately? Or perhaps you simply would like to keep certain items you do not need right away while you prepare your new house? Some removal companies have secure storage facilities with CCTV. You can rest easy knowing your items are safe and easily accessible. Most removal companies have insurance policies that cover your belongings while movers handle and transport them. This protects against damage, loss, and theft. While most contracts include insurance coverage, it is usually for a small amount. However, movers have various options to increase the amount of coverage to match the value of your goods. Moving companies are also able to make arrangements for various other tasks required for your moving day. These include applying for parking permits or suspensions with local city councils, paying congestion charges, or even arranging for customs clearance for overseas removals. Since removal companies are able to handle so many different tasks, your move will be taken care of no matter the circumstances. 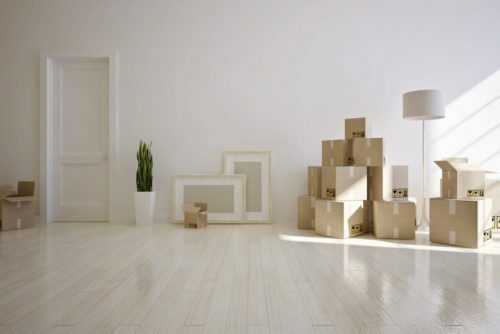 From a relatively simple domestic move with no added services, to a fully-managed removal to another country, moving specialists have the relocation services to accommodate your needs. To make the best possible decision on the level of service that matches your financial requirements, obtain quotes from multiple companies to find the best offer in terms of value. Send a quote request now—it is non-binding and completely free!